Size shown is 48"x48" - other sizes available - or can be made custom. 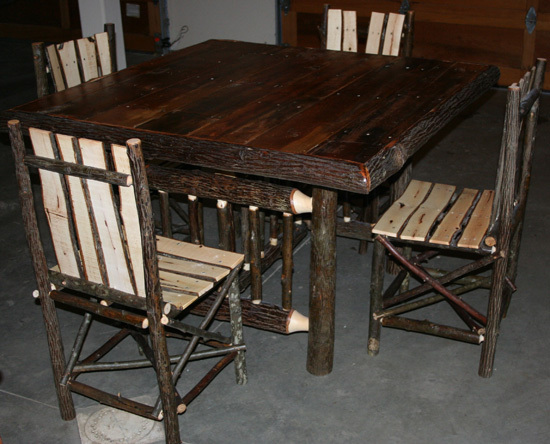 Table legs are hickory bark on, and table top is reclaimed authentic barnwood. 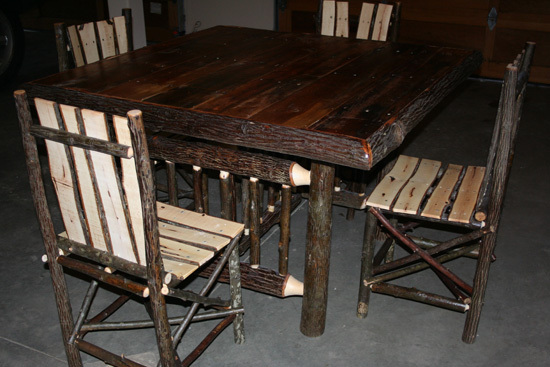 We also make matching chairs for this table.